I was excited to sample this beer, coming from Wales hip craft berwery Tiny rebel. I was expecting an in your face hop filled modern IPA from them. It started off quite well. Pouring a beautiful amber colour with a good finger thick if slightly light head. The aroma was very inviting. Orange citrus scents, orange marmalade, honey sweetness, a hint of passion fruit maybe. Certainly very inviting. However for my pallet l’m afraid it’s downhill from here on. The aromas on this beer totally fail to transpire in the taste. The mouthfeel is very thin. Imparting the very slightest malty flavour. It’s almost watery if im completely honest. Which I feel bad saying, because I love the idea and concept behind this brewery. Unfortunately this just leaves me incredibly underwhelmed. The bitterness is very high. For me considering the lack of malty sweetness in this, far too high. Its very unbalanced. 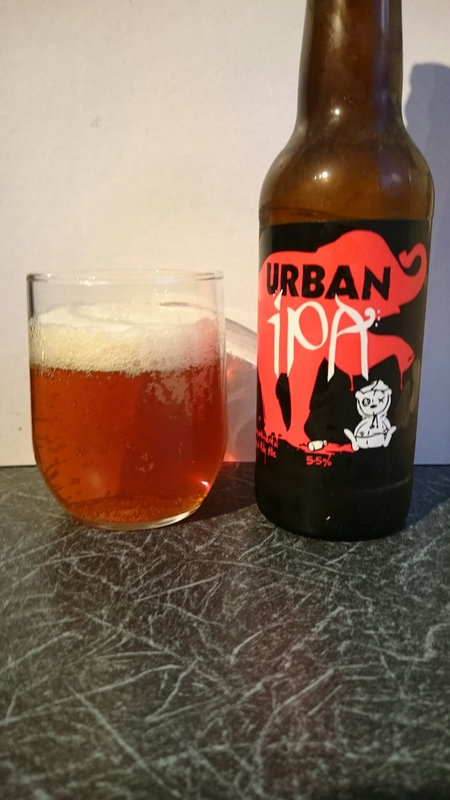 There is not alot of fruity hoppy flavour considering its use of intercontinental hops which it states on the bottle. Maybe a hint of grapefruit which develops on the pallet long after swallowing. A very dry finish leaves you needing a quencher. Unfortunately for me its just not this IPA i want to quench it. A very low 3.5/10.